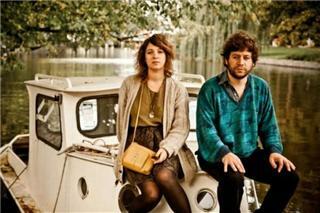 This Frontier Needs Heroes is the Alternative Folk duo of brother-sister Brad and Jessica Lauretti from Brooklyn, NY. Listening to This Frontier Needs Heroes is like having Brad and Jessica play in your backyard while the sun comes up. With their powerful delivery and delicate harmonies; their songs are full of honest, personal stories of love, loss and longing for a better world. 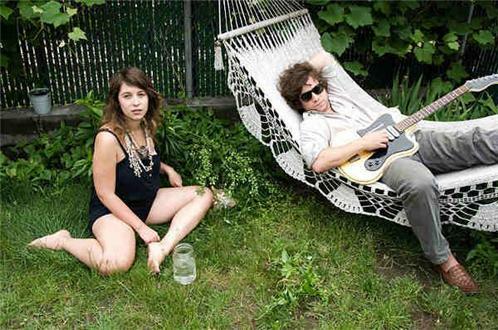 Since their 2009 debut release, they have received much acclaim from Itunes, NPR, Time Out New York, Time Out London, and Decider as well as indie blogs from around the globe. They have played hundreds of shows across the US and UK with Kath Bloom, She Keeps Bees, Arbouretum, Tallest Man on Earth, and The Handsome Family including several UK festival appearances. In 2010, they used Kickstarter donations from their growing fan base to fund their follow up album. They decided to leave the studio for a more intimate approach and recorded in an old school house in Wassaic, NY, with engineer Justin Pizzoferrato (MV & EE, Dinosaur Jr., Thurston Moore). THE FUTURE, out now on their newly formed label HEROIC ENDEAVOURS RECORDS, has wild new songs about all of their rambling experiences including new visions about space, family, heroes, history, and dogs.